While there are a number of causes of headaches, a 2013 study found that water deprivation headaches were not described in medical literature. 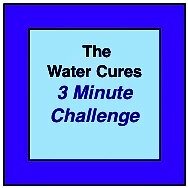 There is a simple solution....it is called the Water Cures Protocol. Basically you take a pinch of salt, dissolve it in your mouth (on the tip of your tongue where the salt receptors are) and then drink a glass of water. One of my managers was heading into a meeting, obviously in pain from a headache. Pulling out a pack of salt, I suggested putting a pinch on his tongue and drinking some water. He had a water bottle that he was nursing. He said, "No, that's ok." Another manager standing there said, "What can it hurt. And besides, if it helps, it will be so much better." He took it on the spot. I suggested he look at his watch and count the seconds. In 45 seconds, he said he was starting to get relief. Note: This is a story that I have seen over and over in my career as a holistic nurse.--JS. The abstract on 'Water-deprivation Headache' pointed to two possible causes. The Discovery: A couple of medical students experiencing headaches (for 7 and 9 years) told their instructor about their experience. Their headaches were the result of a lack of drinking water. The instructor did not recognize this and said was there anything in the medical literature. Actually there was, we have found it at the time of this writing. It is well known that alcohol can cause headaches due to dehydration. The simple solution for an alcohol induced headache is a pinch of salt on the tongue and a glass of water. It will be gone in less than 60 seconds in most cases and is a whole lot safer than taking Tylenol. Dialysis likewise causes headaches due to the dehydrating nature of the treatment. 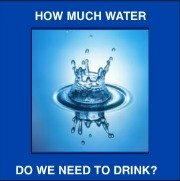 However, simply not having enough water was not well reported in medical literature. The research, drawing from friends and family along with colleagues and acquaintances, those who would help were asked about a lack of water as one of the possible headache causes. If a lack of water was the culprit, they asked for more information regarding the location and a description of the pain. Did posture affect the headache and how long did it take to get relief when drinking water. Of those who were asked, about 1 in 10 recognized a lack of water as causing their headaches. Most said it worsened with head movement, if they bent down or were walking. The volunteers were divided into 2 groups. Of the two groups, 22 experienced total relief within 30 minutes by drinking 200 to 1500 mL (average of 500 ml) and 11 attained relief in 1 to 3 hours drinking 500 to 1000 mL (average 750 ml) and one needed sleep as well as additional fluid. "Water-deprivation headache is common, recognized by the public, but not described in the medical literature. Here we delineate it as a primary headache, postulating that the pain arises from the meninges; that the brain is also involved is indicated by impaired concentration and irritability, although not studied in detail in this preliminary survey. We speculate that water deprivation may play a role in migraine, particularly in prolonging attacks. 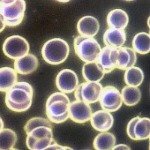 Further studies of serum osmolality could prove illuminating." Please Note: it said...."Further studies of serum osmolality could prove illuminating." 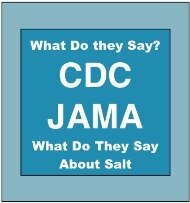 The osmolality mentioned in this article is the salt that we suggest in the Water Cures protocol. While the exact cause of migraines is not known, we do know our brains do not have pain receptors. Thus, the feeling of a headache is all in your head, literally. The cause of the pain is thought most likely to be related to the nervous system and that brain chemicals, blood vessels, and nerves of the brain are somehow involved. We believe the theory that pain is a signal that the body sends to say something is wrong. It does not give pain signals for no good reason. Here are some additional causes of headaches. Note: The Water Cures protocol can help with all of these causes of headaches to varying degrees. Sleep: Not enough or too much sleep can cause headaches. Try to develop a regular pattern of sleep. About 30-45 minutes before going to bed, drink 10% your body weight in ounces of water. Then put about 1/8th tsp per 16 ounces of water of salt on the end of your tongue. Worried about having to get up in the middle of the night. Few do because of the salt. More importantly, they get a good night sleep and awake with no headache. Bed Covers: Dr. Batmanghelidj suggested that dehydration could also be brought on by excess bed covers. The logic, the covers hold in the heat and do not allow the body to regulate its heat as well as it does in the day. Flashing Lights: Some have noted that migraines are the result of bright flickering lights. Reflections off of snow, water, TV, Movies or fluorescent bulbs can cause headaches for some. Polarizing sunglasses outside and daylight fluorescent bulbs inside may help. We believe the Water Cures Protocol can help here. One thing is certain, it is easy to try to find out. Lack of What We Eat: such as what happens when we skip meals, can cause headaches. When we have low blood sugar from not eating, headaches can result. Too Much of What We Eat: such as when we have a sugar binge from eating or eat too much sugar laden foods or binge drinking soda. The sugar rush as well as the drop can cause headaches. Stress and Anxiety: Our emotions and the drama we have to deal with on a daily basis can cause stress that can be a cause of headaches. While there are many relaxation techniques, the first line of defense is to make sure our body is properly hydrated. 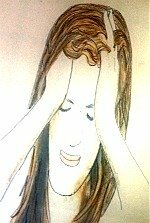 Hormones: For some women, headaches are are related to their menstrual cycle. They predictably happen either a few days before or during their period. This is when estrogen levels drop. With the change in hormones comes shifts in the bodies water management system. Indeed, hormones are dependent of the bodies hydro-electric systems. 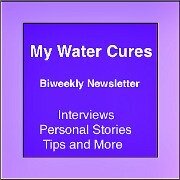 To end headaches or at least take the edge off, try the Water Cures Protocol. Do the protocol in the AM on awaking and before bed at the minimum. Alcohol: The drying effects of alcohol causes cellular dehydration. This is especially noted in the brain. 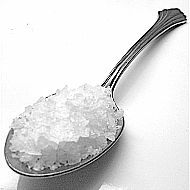 Hangovers can be easily relieved by dissolving a pinch of salt on the tongue then drinking a glass of water. Diet: When allergies or the foods we eat cause a release of histamine, headaches result. Among the most common triggers, MSG, red wine, cheese, chocolate, soy sauce, and processed meats. Brain Cancer: Read the testimonial of Mr. Tini with inoperable, terminal brain cancer. His headaches were gone after the first day on the Water Cures Protocol. At this writing, he is still alive, brain cancer gone and has exceeded his expiration date by over three years. You don't have a headache, you are just chemically depleted in synthetic triptans, AKA Serotonin Receptor Agonists. They cause a number of side effects, one of which is heart risks. Not to worry! The Bad News: while the initial study found a problem in only one percent, medical sites say it is far worse. More are likely to experience problems. The Good News: There are additional drugs that can be given to help eliminate the heart problem risks. And when they cause problems, there are yet more drugs to help those side effects. Oh yea, make sure to buy stock in those pharmaceutical companies. 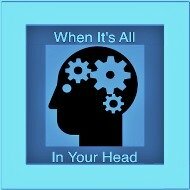 Note: A few years ago when we first started saying that headaches could be caused by dehydration, some of our detractors said that the Water Cures is quack science. They specifically said that since the literature does not say that what we are saying was not backed by science, we were in effect wrong. The problem, since our findings were not backed by research, did that mean that it did not exist? More importantly, since we also have a solution, they were depriving themselves and those who listened to them of relief. 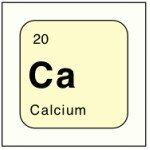 The science now supports what we have been saying for years. The above study said, "Surprisingly, the Internet revealed many references to water deprivation inducing headaches." Incredible, there could actually be some truth on the internet. There is a take away here. Sometimes we need to listen to our gut. Consider what resonates with us and measure it against the evidence.